We offer all types of fishing in Rivers and Lakes on Vancouver Island, with a big focus on Vancouver Island Fly Fishing Trips. Salmon Fly Fishing. Steelhead Fly Fishing. Trout fly fishing. We’ve got you covered! 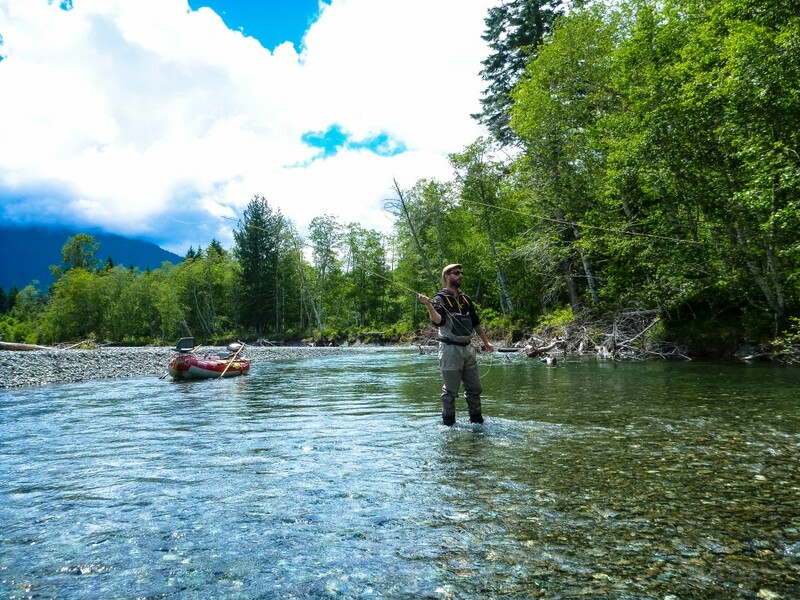 Our Vancouver Island fishing guides fish all methods in local rivers, so we know where and how things work. 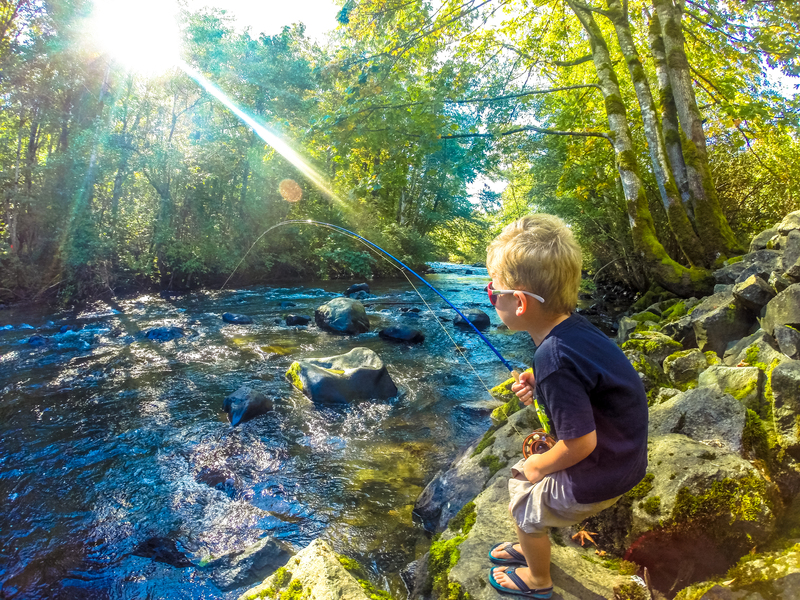 Limiting our angling knowledge to one type of fishing is a major detriment to your success. Learning so many methods, and catching fish in a multitude of situations, has enabled us to drastically enhance our tactics while flyfishing. This helps us to constantly learn and ultimately give you success of catching fish. 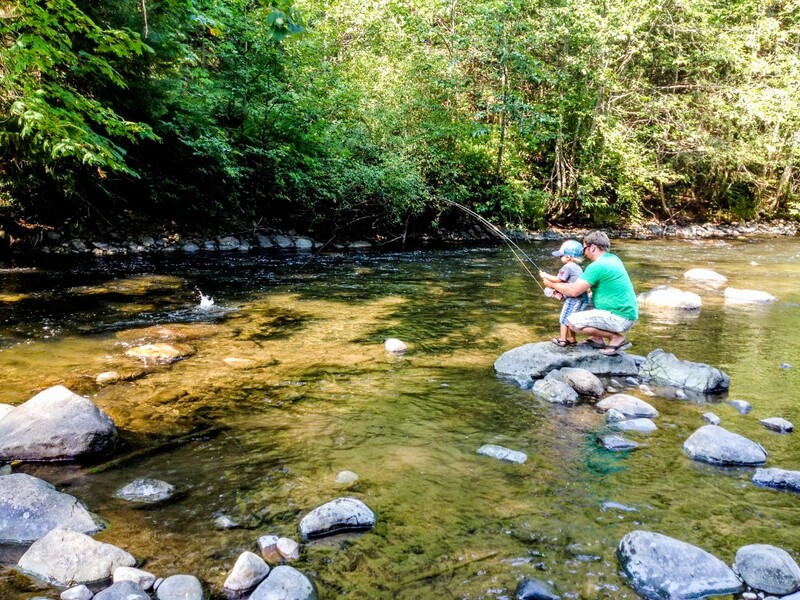 We hope to never stop learning more and more about Vancouver Island rivers and the best ways to enjoy each fish. 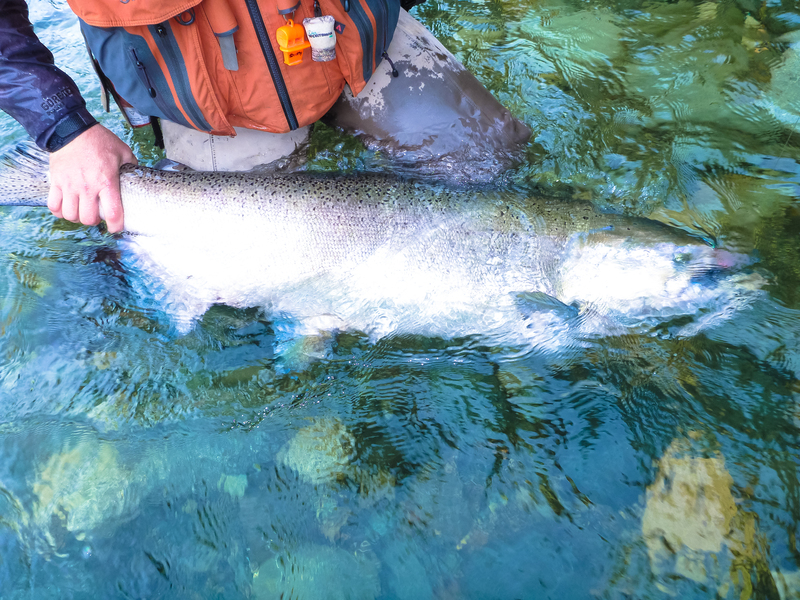 Each species of Salmon, each seasonal run of Steelhead and our various resident and sea-run trout all have their own unique seasons and tricks to be caught on the fly. Some pursuits being quite easy and some being quite challenging. 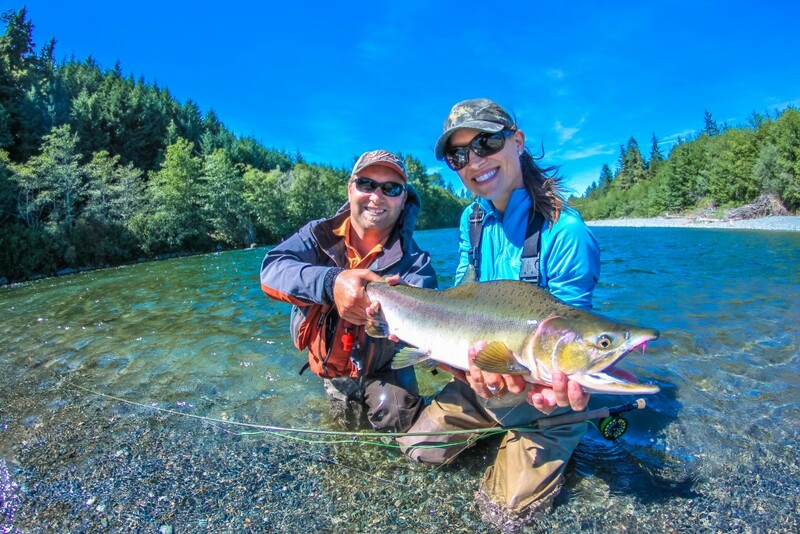 Our Vancouver Island flyfishing guides will give you the straight answers as to when, where and how. You can feel great confidence when contacting us that we will give you options, honest expectations and your absolute best shot on Vancouver Island at catching your desires species. For new flyfishers, we welcome you to come and learn. 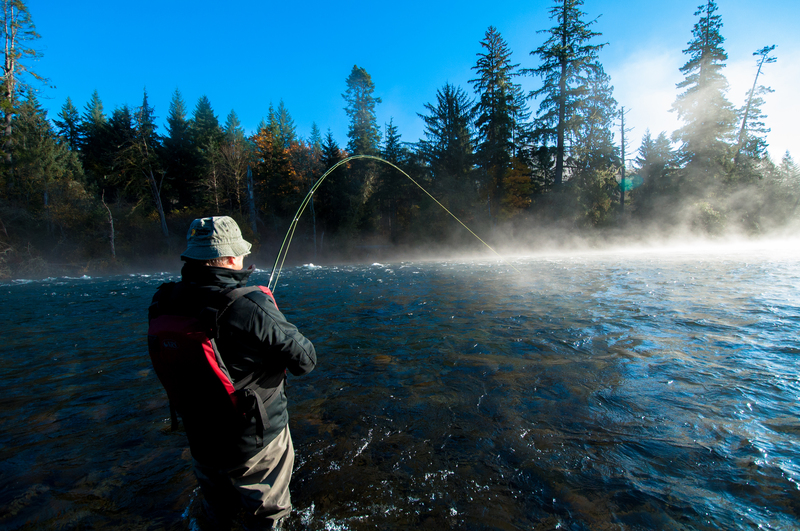 We’ll often suggest the best times of year for you to have almost assured success while Vancouver Island flyfishing. We’re also open to teach and hone the skills of long time flyfishers in a new challenging pursuit, such as a winter Steelhead on the fly. Vancouver Island is unique and offers some very special and memorable flyfishing experiences. 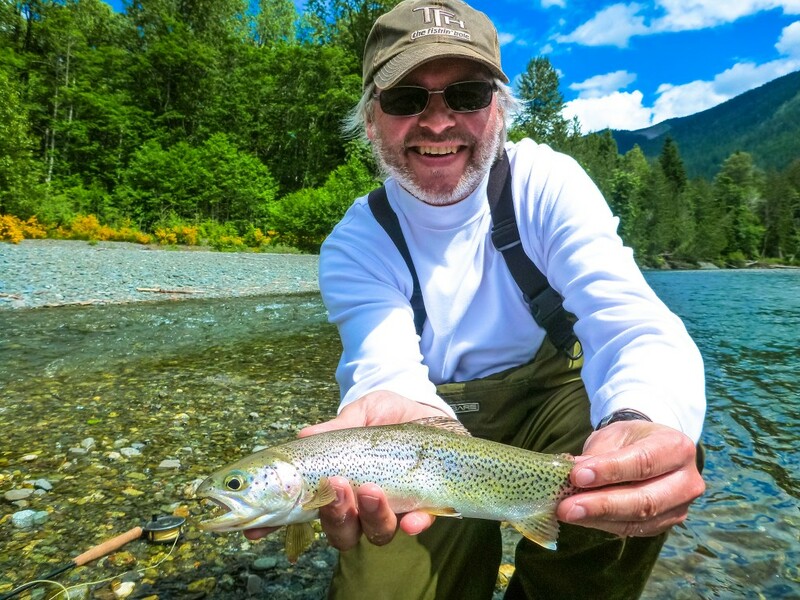 All of our Vancouver Island fly fishing guides are versed in single hand and double hand (Spey) Fly Fishing. We have all the gear for you to use for each type of flyfishing, as well as full waders, boots etc. Just bring your fishing licence and we’ll have you outfitted. Spring, Fall and Winter trips are all primarily in our river rafts. During low summer flows we do walk and wade. 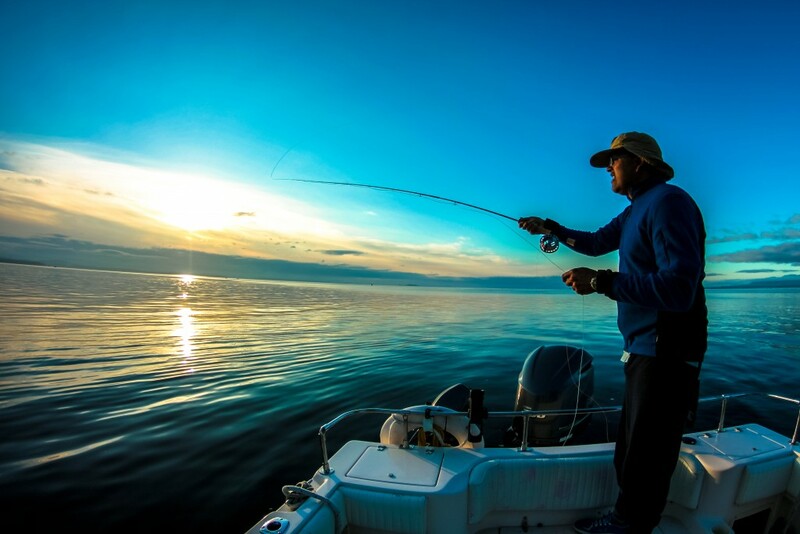 For the unique adventure and extreme challenge we offer Saltwater flyfishing for Coho and Pink Salmon. This is a must for someone scratching things off their bucket list! A very unique Vancouver Island fly fishing experience!